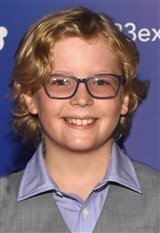 Huck Milner made his feature film debut at age 10 when he was chosen to voice the role of Dash in the Disney/Pixar sequel, Incredibles 2 (2018). Huck, who has two older sisters, lives in Manhattan and started acting at the age of four in local plays. When he's not acting, he enjoys hockey, skiing, and playing the bass.